Click the pic once or twice to make it full size. This a twisted look at a second hand for a watch. While not totally a new idea it does have some things I have not seen on a watch yet so I have them on my "banged up beater test watch" as I call it to try them out. 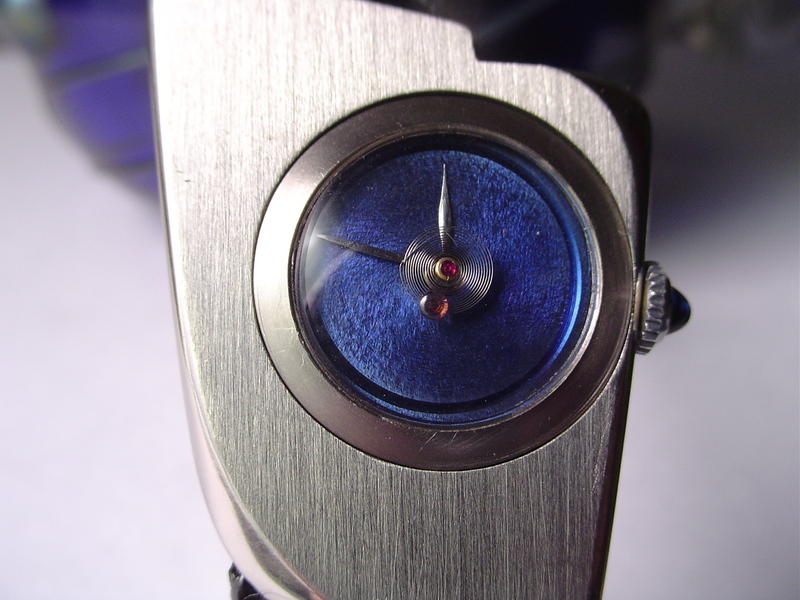 The ruby end stones are a nice touch and I have to say that an overcoil always seems to make things work nice inside the watch so why not on the dial too ?